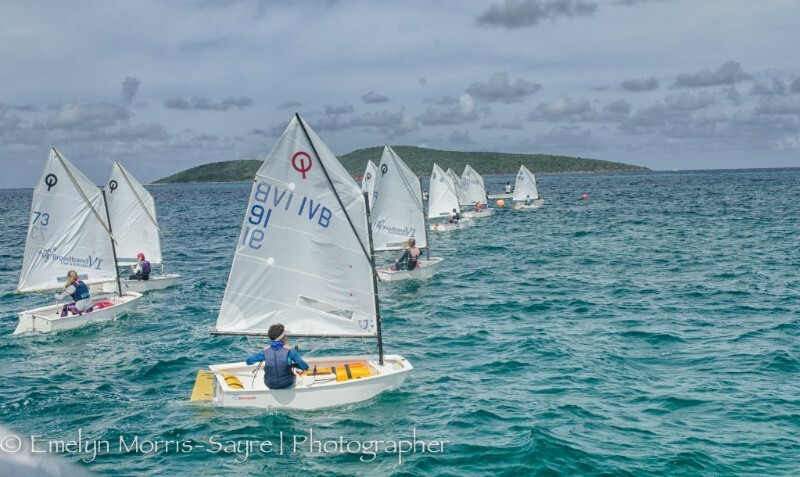 Nine Team BVI Optimist sailors raced in the 24th St Croix International regatta this weekend, with podium finishes across the board. Eleven races were sailed by both fleets in light winds around 10 knots on Saturday building through the weekend with gust up to 15 knots on Sunday. Nathan Haycraft continued his run of good form to dominate the Championship fleet, securing nine wins in the 11 race series The only sailor to take away the bullet from Haycraft was team-mate Kyle Roose who took victory in the last two races of the regatta and finished second overall and second in the blue fleet. 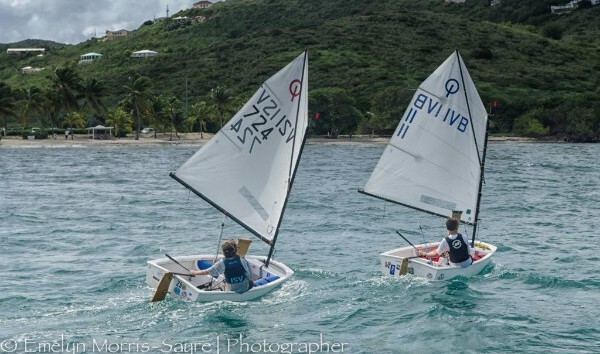 Ryan Lettsome finished in fourth place overall just two points behind third and this was enough to secure the white fleet win for sailors aged 10 and younger. In his first regatta sailing in the Championship fleet, Samuel Allen put in a solid performance with his best result of fourth coming in race 9. Allen finished 6th overall, squeaking in ahead of team mate Max Reshetiloff by just one point and taking second place in the white fleet. 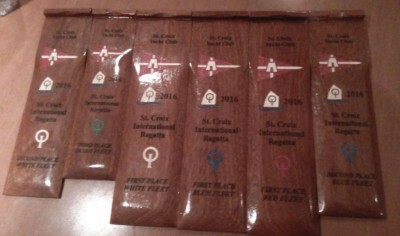 Reshetiloff took the red fleet win for sailors aged 13 to 15. In the Green fleet the racing was tight at the top throughout the weekend. Kael Chalwell fired out of the blocks, taking the bullet in the first race. He followed that up with consistent sailing and another bullet in race number four and rounded out the weekend in third place, just four points back from the eventual winner. First-timer and the youngest member of the team, Wil Seddon sailed an excellent series with a hugely impressive third place in race 7 and a final result of ninth. Just behind him in tenth came Victoria Rowlette and Amanda Plaxton in twelfth. Both these sailors are showing excellent improvement as they confidence grows at these regattas and will be ones to watch for the future. Over in the big boat series there was another Haycraft on top, taking the CSA Spinnaker division with two firsts, four seconds and a third to finish a comfortable five points ahead of second place. Congratulations to Chris Haycraft and his Pipe Dream crew. Thank you to the Moorings for the significant support providing a home and transport for the weekend, to all the parents who chaperoned, helped loading boats or providing sustenance for the team and of course thank you to Coach Taylor - we couldn't do it without any of you. 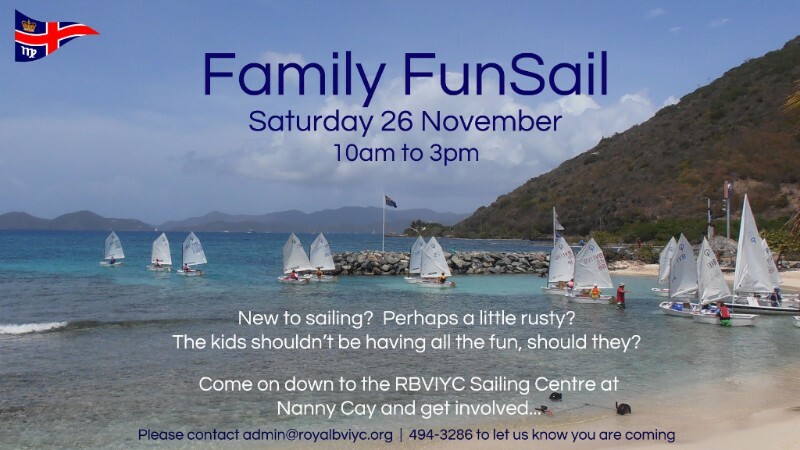 All are welcome whether you are new to sailing or feel like it's about time you got back into a boat! 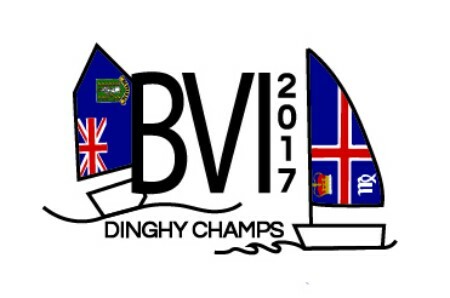 Boats available: Optimist, Laser (all rig options), 420, IC24 and Kayaks. A BBQ will be on the go for a nominal fee.